Los Angeles is a vast area, with around 4 million people living in it. It’s more like different cities, interconnected to each other with gigantic highways. The hotels in Los Angeles are expensive, and the Airbnb options are expensive too. 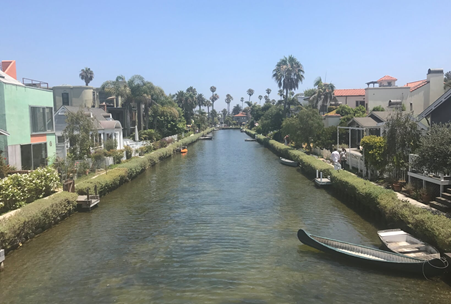 Three areas are the best neighborhoods to stay as a first-time visitor, namely the Santa Monica and Venice Beach Area, the Hollywood Area and the Down Town LA. First of all, let’s have a look at the places to visit in LA as a first-time visitor. The best places to visit in Los Angeles during your first visit will be Venice Beach and the Venice Canals in the same area, the Santa Monica Pier and the area around Santa Monica, the Hollywood Walk of Fame and the theaters in the Hollywood Boulevard (Chinese Theater, El Capitan Theater, Dolby Theater), the Beverly Hills area (e.g. Rodeo Drive and Two Rodeo and the Spanish Steps), the Griffith Observatory, the Marina Del Rey, and the Downtown LA. These are the best tourist attractions in LA in a nutshell. These places are not close to each other. You will have to drive for one hour to get from Hollywood to Santa Monica, as it is 20 miles but there is usually heavy traffic on the highways to get you there. 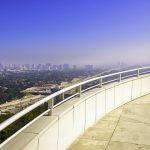 So, you cannot have it all, when choosing the best area to stay in Los Angeles. If you stay close to the beach (e.g at Venice Beach or at the Santa Monica area), you will be far away from Hollywood and the Griffith Observatory and Beverly Hills. And the other way around. Your first option is to stay in Santa Monica area. This is an easy-going area right on the beach of Los Angeles. It is safe but expensive. The hotels here are typically priced at +200USD per night. You will also not find a lot of Airbnb options in Santa Monica, as it is illegal to rent your house in Airbnb in Santa Monica for a period smaller than thirty days. 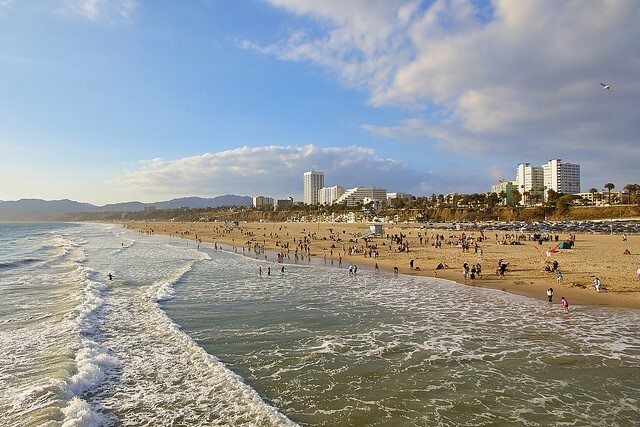 The pros of staying at Santa Monica are that you will have easy access to the beach, to a nice area to walk around in the evening, with many bars and places to go out, easy access to the Los Angeles International Airport (LAX) and to Malibu beach area. The Hollywood is around 25 minutes’ drive from here when there is no traffic. If there is traffic, you should expect to drive for around 50 minutes to an hour. Although it is a popular area to stay, we have to be honest with you. We don’t get the allure around Santa Monica. 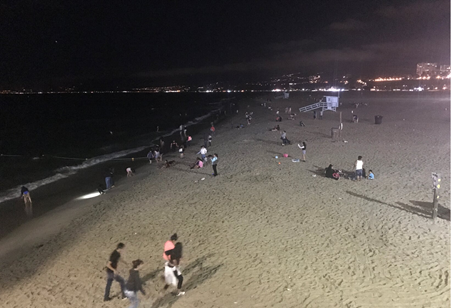 It is an iconic place, the wheel looks beautiful in the night, but the overall feeling we get at the area around the Santa Monica pier is not the same we get at Venice beach. Things here look much more touristic, and with a lower energy and craziness factor than in Venice beach. 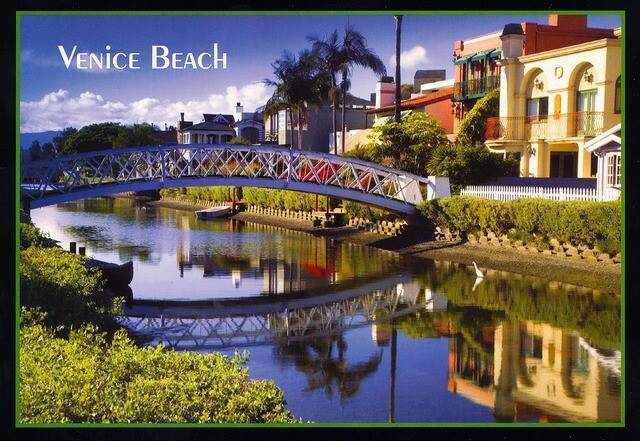 We suggest that you opt in for staying closer to Venice beach. -In the evening Santa Monica is full of lights and packed with people strolling around. A few people are laying on the beach or even swimming, during the summer. -Don’t get fooled by the months of July or August. Even though Santa Monica might be warm in the morning, it is chilly in the evening even in the summer. Make sure you have a light jacket to wear on top of your t-shirt. 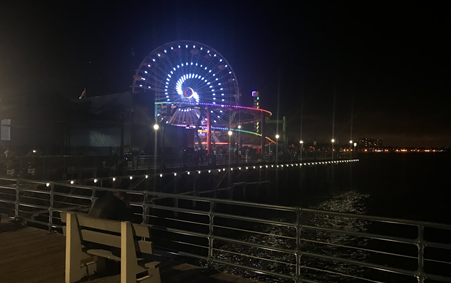 -The pier at Santa Monica is the iconic place you have seen in the movies and shows such as “Californication.” It is a beautiful place to spend an hour in the evening but no more unless there is a free concert. -The pier is 100 years old, and it has a giant Ferris wheel, an amusement park, and it hosts many free concerts in the summer. You can find them at http://santamonicapier.org/twilightconcerts/. 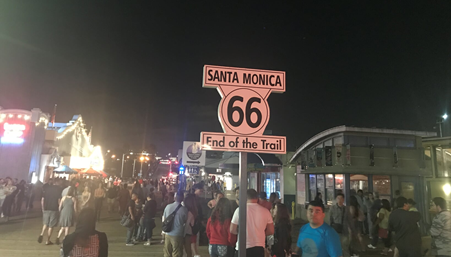 – The Santa Monica pier was the one end of the famous Route 66, the road that connected the east side of U.S.A. with the West side and there is a sign of “route 66-end of the trail” which is a popular photo place for tourists. 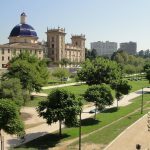 -During the day, you can come here and rent a cruiser bike from one of the several renting locations that exist in the area and bike along the beach towards Venice beach. Perry’s cafe and bike rentals is a place which has been renting out bikes during the past forty years. There are other places of course. For a single bike, the prices vary from six to ten dollars per hour. -Where to park in Santa Monica: if you come here with your car, there is a parking lot just in front of the pier which costs 12 USD for the whole day. If you come just for a couple of hours, then you can park two streets before the pier. The parking there offers 90 minutes free parking and then 1.25 USD for the first additional hour. The parking is at the cross of Colorado avenue and the Second street. There is a bike center at the same place, from where you could rent a bike. – If you want to eat here, the best and most expensive restaurant, with the best views of the pier and the Pacific Ocean, is “Lobster” which is located just in front of the pier. – If you want to swim, you have to know that it is not the best beach you have been in your life. There are waves, and the water is usually blurred, while you feel that the sand sticks on your feet when you are inside. There are also no umbrella sets on the beach. -If you want to have a beer next to the pier, the two most popular places are Red O and Del Frisco’s grill. They both offer outdoor sitting, but they are not directly located on the beach. There is the Ocean avenue road in front of them, so not the quietest places. This area is separated into two regions. The WeHo (West Hollywood), which is in the middle of Hollywood and Beverly Hills and the “main” Hollywood area. The Hollywood area used to be a really vibrant area many years ago, but it has lost its impressive glam. In the past few years, things started to catch up again. The hotels here cost around 200 USD/night at the cheapest. The pros of staying here are that you will have easy access to many things you would like to see as a first-time visitor in LA, such as the Universal Studios, the Chinese Theater, the Hollywood Walk of Fame and the bars and restaurants that exist in this area. Another pro is that you have easy access to public transport if you don’t plan to rent a car while you stay in Los Angeles. And you will also be close to some of the best nightlife in the town.The cons are that Hollywood is quite expensive, and you will still need to drive yourself to the beach every day if you would like to enjoy the summer atmosphere in LA. But as we said, you cannot have everything when selecting an area in LA. A nice choice, if you want to stay here, would be to get an Airbnb house. They do not come cheap. Expect to pay around 180 USD per night for a decent one. Still, they are 20-30% cheaper than the hotels in the same area, which also offer tiny rooms, compared to the room sizes you get from Airbnb. Regarding safety, Hollywood is a pretty safe area to stay with a family. The best places to stay in Hollywood are The Hollywood Roosevelt, the Mama Shelter, the Redbury at Hollywood, and the Magic Castle Hotel. It is called Down Town, but in reality, it is not the center of the Los Angeles area. 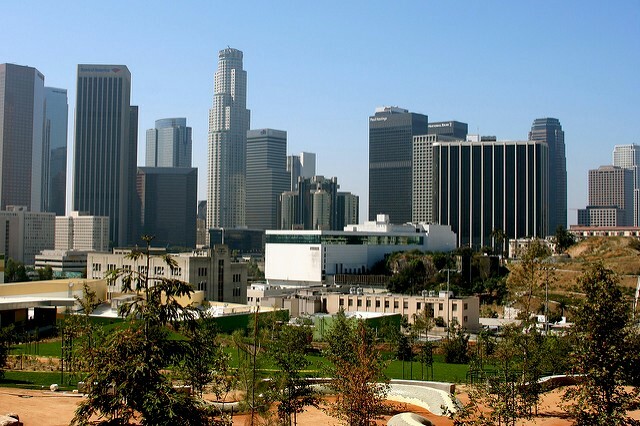 Around 58.000 people live in the Down Town area of Los Angeles. This has been a strictly business district in the past, and in the previous five years, it has started to become more attractive. It has cheaper hotels (e.g. you can stay at the 4-star Bitmore Millennium Hotel with 160USD/night) than Hollywood, and Santa Monica does. There are not many things around to do so you will pay the price of having to drive 25 to 30 minutes to get to the Hollywood or to Santa Monica beach. Bear in mind that Los Angeles is well-known for its traffic jams and driving times can widely vary. You should avoid driving during the peak hours, which are 07:30 to 09:30 in the morning and from 15:30 to 19:00 in the afternoon. 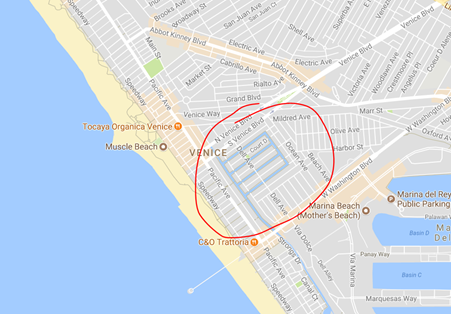 What About Staying at Venice Beach? 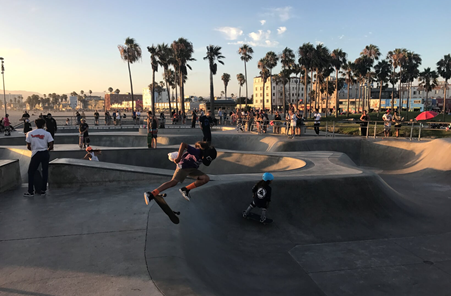 Venice Beach is next to Santa Monica, after almost 6km from the Santa Monica Pier and we would recommend that you choose it over Santa Monica, as it is more fun to be here, with more options on things to do during the day and the evening. It’s a “hipster” area compared to Santa Monica. Venice beach area is a much more interesting place than the Santa Monica pier. Here you will find an enormous sandy beach, watch surfers, see skaters do tricks in the skater’s plaza, see many street performers playing piano, guitar or walking on glasses, and find many small shops selling souvenirs and t-shirts, many of which are hilarious. 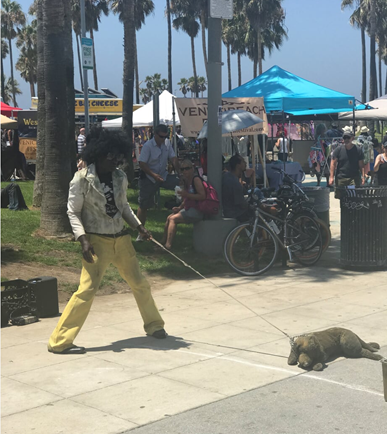 The people in Venice beach are the opposite of what you see at Beverly hills. Hippies, hipsters, beach style dressing. The feeling here is one of freedom, happiness and occasionally craziness. You will often smell the strange odor of pot, as well. If you come here by car, you should know that the parking costs 15 to 20 USD for three hours, in the various parking lots Just in front of the beach. To avoid the hefty price, drive towards the parallel streets and try to park for free on the road. We usually park for free on Mildred Avenue. Venice beach also offers free WiFi in various places. 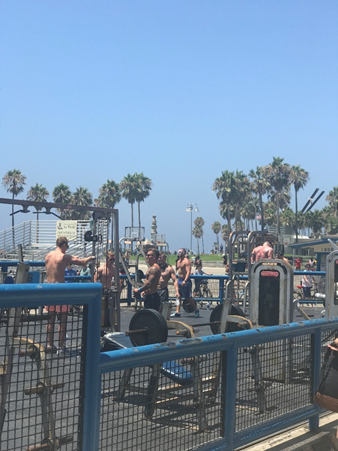 The most famous spot of Venice Beach is the Muscle Beach. It got its name by the various body builders who used to work out here. Even Arnold Schwarzenegger used to work out here in the 80s. If you are at Venice beach, eat at Tocaya Organica just in front of the Muscle Beach. It is a Mexican griller with a chill out non-pretentious style, nice burritos (12 USD), tacos (4usd) and Coronas. We liked the kale and quinoa salad(12 USD). We also suggest getting the combo with two tacos and two side dishes for 10.95 USD. Two of the most popular side dishes are the guacamole with plantain chips and the sweet corn. Every Tuesday is a Taco Tuesday so you can get two tacos for the price of one. Expect to pay 35 to 40 USD for two persons including tip. People here come with Bermudas, t-shirts and even with their dogs. The mostly young crowd and hipsters. Free WiFi is available. Usually, there are long lines in the noon especially during the weekends, and you may have to wait for five to 10 minutes to order. -Rent a single or double bike and bike along the beach. You can rent a bike in several places in Venice Beach’s some of the most prominent ones rent the bikes for 6 to 10 USD per hour. -Sit down on the sand and watch the surfers. 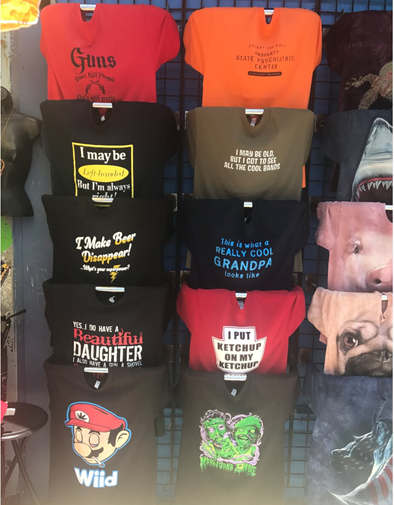 -Buy funny t-shirts or hoods with the “Venice beach” sign or other funny mottos. -Eat Mexican food. Tocaya Organica is our suggested place for some relatively cheap and fantastic organic Mexican food. What About Staying at Beverly Hills? Beverly Hills is a great area, with beautiful houses but there is hardly anything to do there. It’s like a dead city after 10 o’clock in the evening. The Hollywood area is a better option compared to Beverly Hills. If you choose to stay at Beverly Hills, some recommended options are The Beverly Hills Hotel, and the SLS Hotel Beverly Hills. What About Staying at the LAX Area? The Los Angeles Airport (LAX) area, holds quite a few hotels from international brands (e.g. Hilton), which are much better priced than the hotels in Hollywood, Santa Monica and Down Town LA. However, the main benefits of staying here are the proximity to the Los Angeles airport and the money you will save. What you will suffer from is longer drive times to the popular places, so we do not recommend the area of LAX for a 3-day stay. It’s a great place if you only have one day in Los Angeles so that you are close to the airport but not for longer stays. What About Staying at Redondo Beach? The beachline of Los Angeles goes like this: Santa Monica, Venice Beach, LAX and then Redondo Beach. 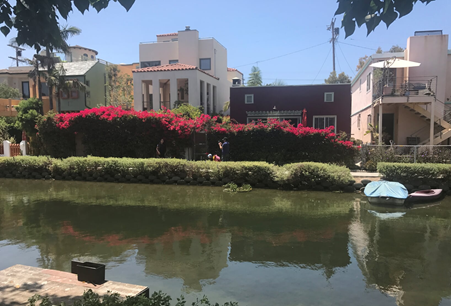 So, Redondo is pretty far away from the popular places, and it is a recommended area to stay only if you want to be on the beach, and you don’t want to pay the hefty price of Santa Monica or Malibu. 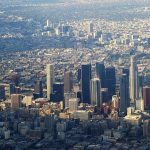 What Other Should I Think of Before Choosing Where to Stay in Los Angeles? If you rent a car, you should know that parking is quite expensive in LA, and the hotels are charging for it. 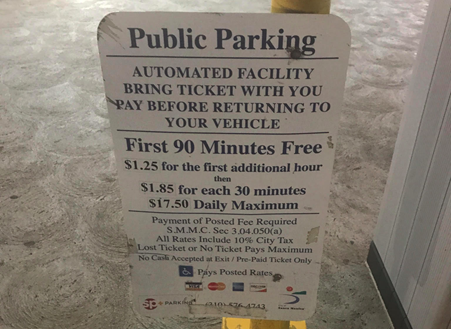 As an example, the BitMore Millennium Hotel in Down Town LA is charging more than 30 USD per day for the parking. Of course, you could use an application like Parkme (https://www.parkme.com/los-angeles-parking ) to find out cheaper parking spots close to your hotel, usually starting at 15 USD per day. Moreover, many hotels in LA don’t offer free breakfast, which could also drive the total cost of staying there significantly if you are two or more persons staying there. How Safe is Los Angeles? 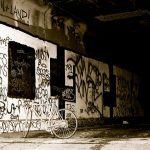 Where to Stay in Los Angeles Without a Car? The best area to stay in Los Angeles as a first-time visitor, if you don’t rent a car is Hollywood. 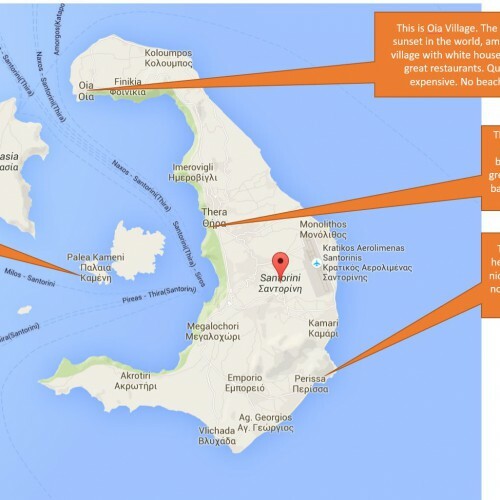 You will be close to the most famous places, and you will have easy access to the public transport. Uber is also available in Los Angeles, and an UberX from Hollywood to Santa Monica will cost you 20 to 25 USD as an example. Where to Stay in Los Angeles for Nightlife? Hollywood is the best area to stay in Los Angeles if you want to enjoy the club scene and the bars and restaurants during the evening. Where to Stay in Los Angeles with Kids? 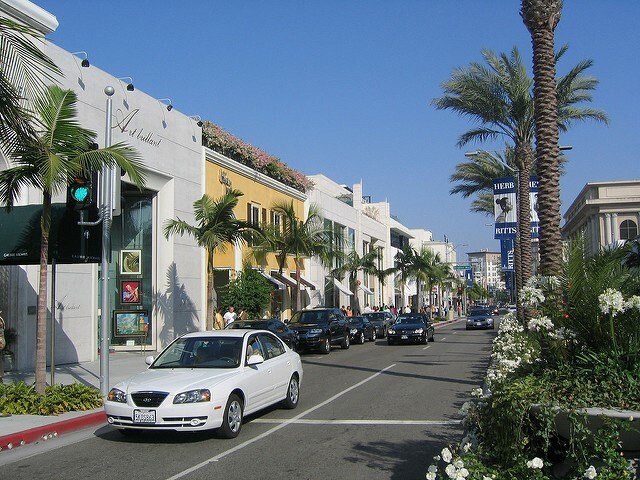 Beverly Hills is a beautiful area to stay in Los Angeles if you are with Kids and family. Hollywood is another excellent option for this case. Where to Stay in Los Angeles with a Car? If you plan to rent a car, then the two best options for you to stay would be the Santa Monica Beach and the Hollywood area. Where to Stay in Los Angeles on a Budget? If you cannot afford any rate above 100 USD and you are on a tiny budget, then you should better look for cheap Airbnb accommodation. You will find some homes rented at 80-90USD in areas away from the famous ones. Recommended: Yes. The suites are comfortably furnished and reasonably priced. Add to that a great location, and you can plan to have a terrific stay in Los Angeles. This hotel is ranked #6 on Tripadvisor, among all the hotels in Los Angeles.